Leota Goodney started this practice in 1981. The firm has grown steadily through the years to our present size of three partners and four other employees. We serve a variety of business clients in the Northfield area as well as many individuals in varying circumstances. We offer individualized services to each of our clients and work for warm, professional relationships. The technical aspects of our services are of the highest quality. We have an ongoing program of continuing education, participate in the peer review program established by the American Institute of Certified Public Accountants, and maintain membership in the Minnesota Society of CPA’s and the Minnesota Financial Planning Association. Leota Goodney, partner, practices in the areas of tax law, elder care and non-profits. Older clients captivate her with their wisdom and strong personalities. The elder care services she provides enable people to continue to retain control of major decisions without being bothered with the detail. Small non-profits often need the professional and technical expertise that Leota’s experience can offer. 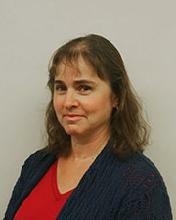 Leota has been licensed as a CPA since 1979 and as a certified financial planner since 1987. She is married with two adult children and is active in her church and as a volunteer advancing universal health care. 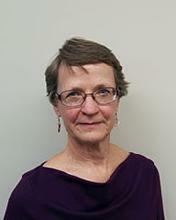 Ann Etter, partner, has interests in personal income tax law, non profit accounting and tax, and financial planning. She filled out her first tax form in 1993 and enjoyed it so much she decided to go back to school in 2001. Her two previous careers both involved non-profit work and she has maintained a passion for working with non-profits. Ann has been licensed as a CPA since 2003 and as a Certified Financial Planner since 2017. She is married with three grown children and two grandchildren. She is active in the Northfield Arts Guild, her church, and a few book clubs. She has been a partner with the firm since 2011. 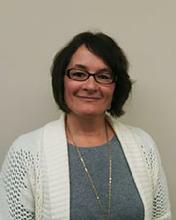 Tammy Jirak, staff accountant, notary public, joined the firm in 1998. Tammy works with clients on bookkeeping needs, QuickBooks training, sales tax, 1099’s, corporate and personal income tax. She is married with three adult daughters and enjoys time with family & friends, reading, flower gardening and golf. 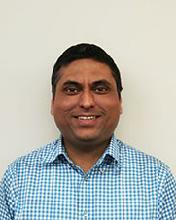 Ragh Singh, partner, prepared his first tax return in 2006 at H&R Block and joined the firm in 2012. He passed the CPA Exam in 2008 and received his license in 2013. He has interest in Small business accounting and taxes, Nonprofits, and Individual tax returns. Ragh likes to watch (and sometimes play) cricket and field hockey. He is married and lives in Rochester, MN with two children. He became a partner in January 2018. 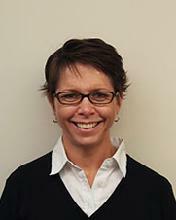 Wendy Sivanich specializes in small business (profit and non-profit) bookkeeping, payroll and tax return preparation. She has 20+ years of experience working with a variety of businesses and most enjoys helping clients bring order to their bookkeeping. Wendy joined the firm in 2014. She has a degree in Accounting and she became an Enrolled Agent in 2017. She and her “townie” husband, Andrei, live in Northfield and have two children in college. She is a member of Northfield Rotary and is actively involved in Rotary Youth Exchange. Anna O’Donnell, staff accountant, joined the firm in January 2016. She is responsible for personal income tax preparation, business bookkeeping, payroll preparation and office administration. Anna graduated from Augsburg College in 2014 with a double major in Accounting and Business Management and has her Mini MBA for Nonprofit Organizations from the University of St. Thomas. She is working toward her licensure as a CPA. Anna lives in Northfield with her husband and three daughters. She is a member of the Northfield Fine Arts Boosters. In her free time she enjoys traveling, reading, hiking, and walking her dog Kevin.